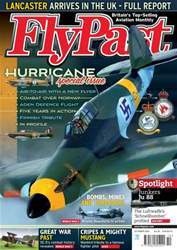 The cover star of FlyPast’s all-new October 2014 issue is a Hawker Hurricane – but a Hurricane unlike any you’ve seen before. This aircraft, which has recently re-flown after several years of intensive restoration work, is painted in the colours of the Finnish Air Force. 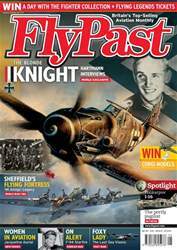 We take a look at its return to flight, and also detail the remarkable use of the type by the Finns in World War Two. Also – don’t miss our special section, dedicated to the Hawker classic and featuring exclusive artwork, images and articles. FlyPast was at Coningsby in August to witness the arrival of the Canadian Avro Lancaster. The same month marked the first time two Lancasters had flown together in 50 years. 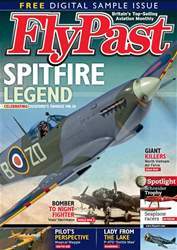 Our 20-page Spotlight section details the aircraft generally regarded as Germany’s best bomber of World War Two, the quick and versatile Junkers Ju 88, or ‘Schnellbomber’. Jim Bosha talks to 1st Lt Alden Rigby about his time serving with one of the USAAF’s great fighter pilots. Andrew Thomas describes how Bristol Beaufort operations spanned the globe from Norway to New Guinea in World War Two. 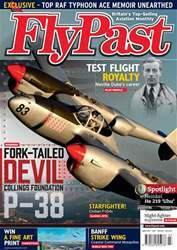 FlyPast goes air-to-air with the historic aircraft of the Commemorative Air Force’s Dixie Wing. 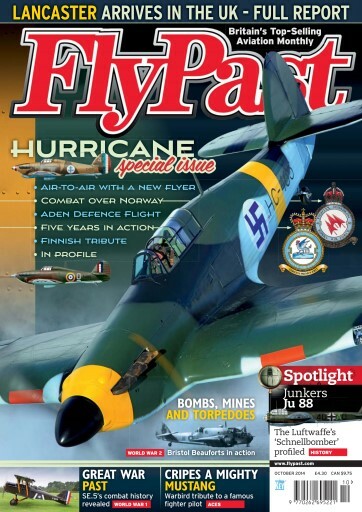 Also in this issue we bring you news of a famous, Battle of Britain-era Hawker Hurricane that has been listed for sale in the UK, and we meet Lord Norman Tebbit who discusses his military flying career with Norman Wells. 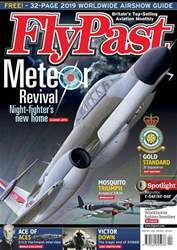 We’ve got some spectacular air-to-air photography from Darren Harbar as the Shuttleworth Collection’s de Havilland Comet racer gets airborne again, and we take a trip to the warbird-stacked airshow at Geneseo in New York, courtesy of Eric Dumigan, plus much more.